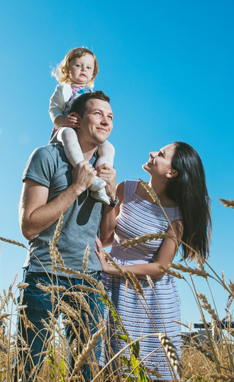 At Leugers Insurance Group, a foundation of values has been laid by previous generations. These values are motivated by a strong work ethic and a genuine care for other people and our community. Simply put, we value our clients’ businesses, their families, and their future. Our objective is to deliver insurance products that provide financial protection and peace of mind to our clients. Our promise to our policyholders is to be attentive, transparent, innovative, and trustworthy. Central Indiana is our home, and we are committed to serving the people of this great state. Your one-stop insurance shop. Get YOUR quote today! In 1914, Herman Leugers started selling insurance in western Ohio. Employed as a schoolteacher, Herman initially sold insurance as a way to supplement his family’s income. His strong work ethic and commitment to his clients eventually made it possible for him to devote all of his time to the insurance business. Herman’s sons, Henry and Joe, joined the company after serving in World War II. Joe sold insurance part-time to support his family of 5 children—including our owner’s father, Jim—while working full-time at Wright-Patterson Air Force Base. He continued selling full-time following his retirement from the Air Force. Henry’s vision of offering turnkey financial solutions paved the way for an expanded suite of services, which included property and casualty coverages, life insurance, annuities, and health coverages. Leugers Insurance Agency still operates in Central Ohio with Henry’s son, Bob, as the principal. In 1955, after returning from Alaska where he was stationed during the Korean War, Louis “Lou” Wenning began selling Prudential insurance products to residents in Central Indiana. Lou, Helen, and their 6 children—including our owner’s mother, Sheila—resided in Franklin, IN. Lou’s family depended on him to grow his portfolio. His children even remember adding a line to the end of their nightly prayer that said, “…and help Daddy make some sales.” The prayers must have worked because Lou’s portfolio began to grow. Lou earned recognition with the Outstanding Sales Achievement award in 1965. He was also a member of the 1966 Mid-America Leaders Club. Despite his success, Lou left the industry in 1969 to help start an electrical contracting company.